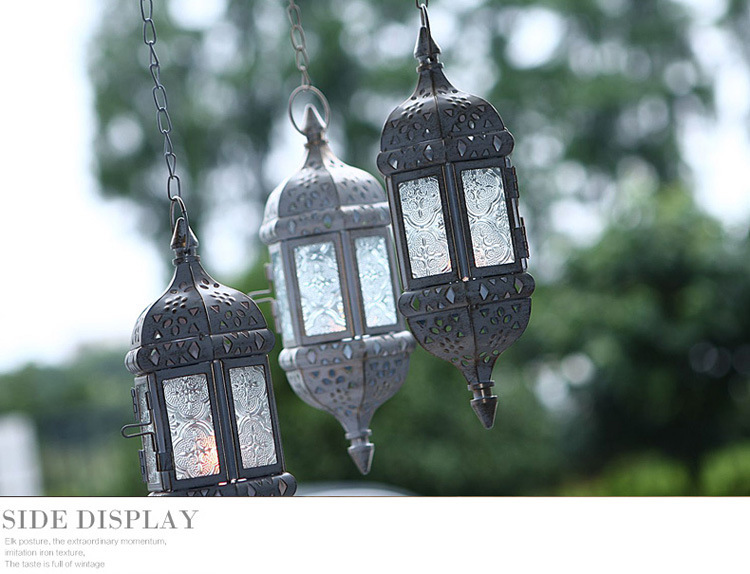 This Moroccan Vintage Candle Lanterns are for the sore eyes. It will add a touch of Beauty & Glamour to your Home. If you decide to use it for any of the special occasion, like a Diwali , a Christmas or any other Festival or special Occasion like a Wedding Party, it will never look out of place. It will only add to the occasion, inviting envy & praise from your guests. It contains 44cm Long Iron Chain, making it a total length of 67 cm, including the candle holder. The glass in brown with gold can show three colors of Red, Purple & Yellow, at different angles, giving it such beauty and splendor that you won’t able to take your eyes off it. Black & White is Transparent Glass.